The title refers to Flaubert. 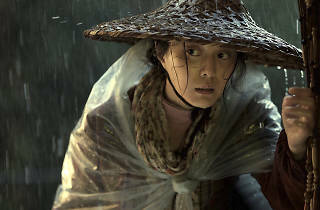 But Kafkaesque is probably a better way to describe this comedy-drama about one ordinary woman’s battle against the bureaucratic madness of the Chinese government to clear her reputation. Fan Bingbing (‘X-Men: Days of Future Past’) is Li Xuelian, who sets out to prove that she’s the victim of a fake divorce. Her scoundrel of an ex has also been badmouthing her, but since the divorce papers seem authentic the court won’t take her side. So begins a decade-long campaign, carried along by Li’s grit and determination. All in all, ‘Madame Bovary’ is quite something, gradually building to a jawdropping final scene. 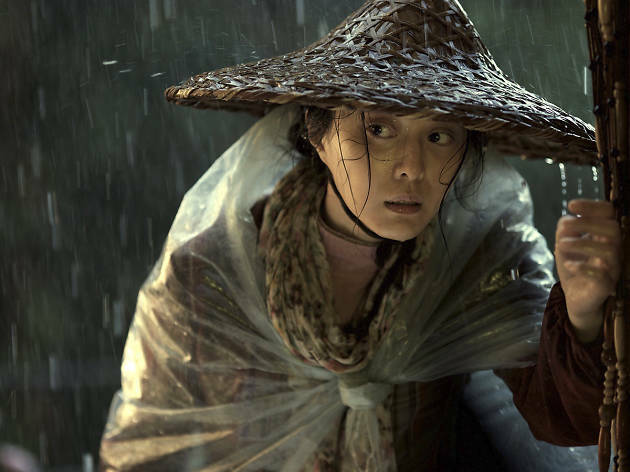 Anyone with an interest in Chinese arthouse cinema really needs to see this. A strangely compelling story that is one part comedy, and one part tragedy. There is a dream like quality to both the characters, and its plot. This is one woman's fight, against all odds, with the Chinese bureaucracy. The dialogues are sharp and expressive. It's not hard to imagine this as a Wes Anderson movie, already with a similar tempo and humour. While entertaining throughout, it does feel slightly longer than it needs to be. Billed as a satire, it's borderlining as a propaganda film with strangely helpful (although incompetent) politicians.